Imagine being evicted from your home and being forced to live in a cramped tent with no electricity, no water, no possessions, no safety, and no security. Imagine being forced to live there not for a day or a month or year but an entire decade! This happened in modern India. In 1990, when half a million Kashmiri Pandits were expelled from Kashmir under militants’ threat to their lives, they had nowhere to go, and were forced to take refuge in tents and one-room tenements in camps in Jammu and elsewhere. Struggling to survive, the displaced people battled alienation, deprivation and fear. Yet, for years, they nurtured hope—of returning to their homeland, of keeping the civilizational ties to a 5000-year-old history alive. Seeing no progress on their return to and rehabilitation in Kashmir, that hope is dwindling now. The writers of the stories in this book have lived with the horror of having been banished from their homes with no place to call their own. They are still living with the harsh reality of not being able to go back to Kashmir even after spending twenty-eight years in exile. They are living with the pain of seeing their homes and places of worship ravaged. They ask: Who are we? Where have we come from? What is going to happen to us? This book has the answers. Kashmir is, and will always remain incomplete without its original inhabitants—the Pandits. Arvind Gigoo taught English Literature in various colleges in the Jammu and Kashmir state. He is the author of three books, including, most recently, Gulliver In Kashmir. He translates Kashmiri poems and short stories into English. His writings are published in several newspapers and literary journals. Siddhartha Gigoo is the author of The Garden of Solitude, A Fistful of Earth and Other Stories and Mehr. His short story The Umbrella Man won the Commonwealth Short Story Prize 2015 for Asia. His two short films The Last Day and Goodbye, Mayfly have won several awards at international film festivals. 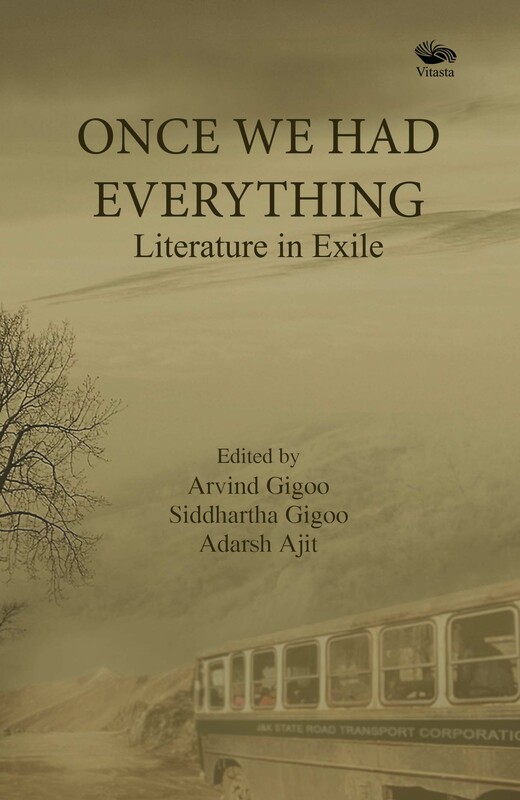 He also co-edited A Long Dream of Home (The Persecution, Exodus and Exile of Kashmiri Pandits). Siddhartha’s writings appear in several literary journals. To know more about him, visit siddharthagigoo.com Adarsh Ajit is a columnist, reviewer and translator. He is the author of a book of Urdu poems Yaad jo aatay hain voh din. His write-ups on literary, social and political issues are published in various literary journals and newspapers. These days, he’s working on his debut novel.